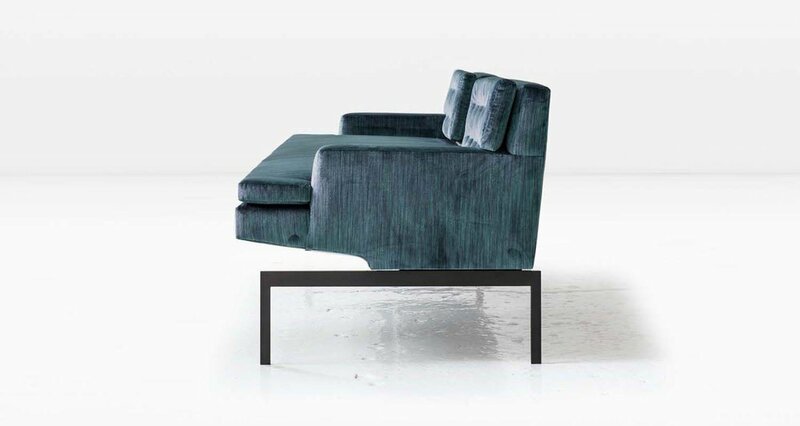 The playful composition of the Mancini Tête à Tête’s seating pairs beautifully with its rigorous architectural base. Shown in Silk Velvet with a Silicon Bronze base. Also available with a Nickel base.